After months and months of rumor and speculation, Samsung announced the latest in the Galaxy line of smartphones today during their Unpacked event. The Galaxy Note 5 and a larger Galaxy S6 Edge+ are now official. Samsung is marketing the two phones differently, stating that the S6 Edge+ is “better for multimedia”, whereas the Note 5 is “perfect for multitaskers”. The S6 Edge + will feature both the “Apps edge” and “People edge” which promises quicker access to your favorite apps and contacts, respectively. 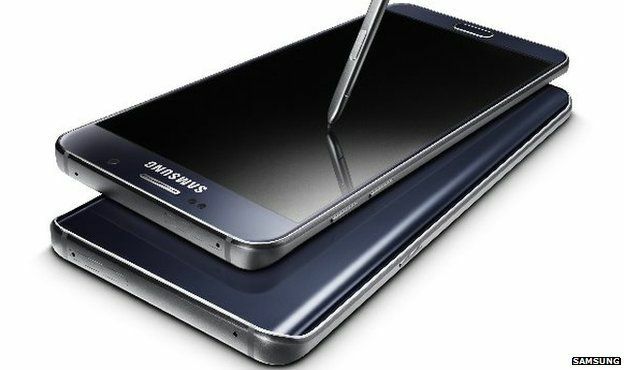 The Note 5 will include the expected S-Pen, which is promised to be even better than before, with the ability to jot down notes while the screen is completely turned off. The two phones have almost identical hardware specs; a 5.7-inch Quad HD Super AMOLED display, 4GB of RAM, and a 64-bit octa-core Exynos 7420 processor. Both phones are packing in a 16MP rear camera, a 5 MP front facing camera, and a 3,000 mAh battery, as well as fast charging, wireless charging, WiFi, and Bluetooth 4.0. The phones will come in 32 and 64 GB options. Neither phone is going to feature expandable storage or removable batteries.